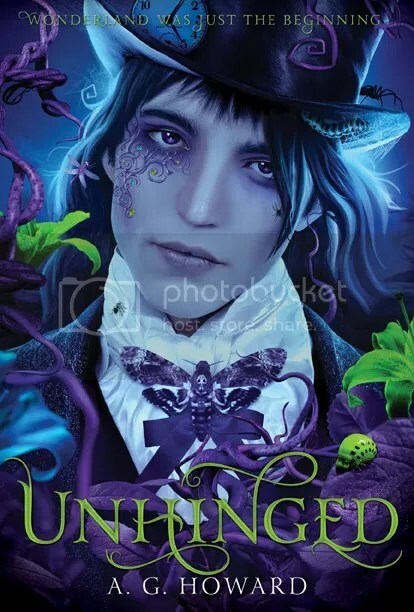 So, I am currently reading Unhinged by A.G. Howard, which is the second book in the Splintered series. You can get a basic synopsis here. This review will be up until the end of chapter 12. Unfortunately, since I’ve only read twelve chapters so far, there’s not much to write about. There was only one thing that is worth mentioning and that is the main character finds out a piece of information about her mother that she didn’t know about. I won’t give it away, but it is a shocking piece of information. And it all makes sense with the main character’s mother’s behavior up until that point. Anyway, I will report back the next part next week. 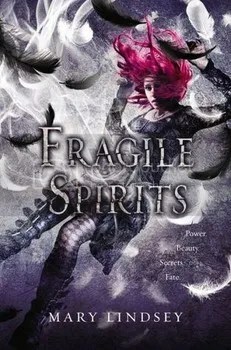 So, I finished Fragile Spirits by Mary Lindsey, and to be quite honest, I have mixed feelings about the book. On one hand, I liked how the author switched it up by having the story told by Paul, who is the main female character’s Protector. But on the other hand, I wished that the story was told by Vivienne’s point of view. With Vivienne’s point of view, I think that the story would have been more interesting. Personally, I thought that the character of Paul was…not dull per se, it seemed like the author didn’t quite flesh out Paul’s character enough to be the lead character of the book. In addition to that, in my opinion if the story had been told by Vivienne’s point of view, the story’s ending would have had more meaning. As for possibly reading a third book (if the author should continue the series), I would read it, if only to see what happens next. Anyway, I would recommend this book series if you want to read a book series that has a Ghost Whisperer vibe to it. So, I have been reading Fragile Spirits by Mary Lindsey lately. You can read about the premise of the book here. Anyway, this review is only up until the end of chapter eight. So, bear with me. Anyway, this book is the sequel to Mary Lindsey’s Shattered Souls. After reading the first eight chapters, all of my assumptions about the book went out the window. Not having read the book flap nor any of the websites explaining the book beforehand, I thought that the book was going to be a continuation of Lenzi’s story, not a related story from a different character’s point of view. Having said that and having read the first eight chapters, I am interested to see what will happen next. 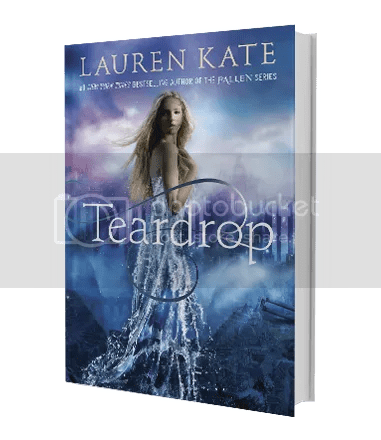 So I finished reading Teardrop by Lauren Kate over the weekend, and I am interested to see what will happen next. I say that because there are so many questions that were left unanswered, which I will put at the bottom of the post. Hopefully, all of my questions will be answered in any sequels. Anyway, I highly recommend this book if you are interested in reading a fictional book about Atlantis. How did Atlas and the rest of the Atlanteans survive when Atlantis sank? Are they protected by some kind of air bubble that surrounded the island? Or did they somehow adapt and now use gills to breathe underwater? Do all Atlanteans, in the Teardrop world, have different supernatural abilities? Is that how Atlas is able to possess people and how Selene was able to sink an entire island just with her tears? Why does Ander have gills? Is it a Seedbearer thing? If one Seedbearer dies, then other Seedbearers die. If that’s the case, then are Seedbearers immortal? And if they are, then why would there be a need for a Seedbearer every generation? If they aren’t immortal, then are they susceptible to diseases and natural causes? If they are susceptible to diseases and natural causes, then doesn’t it follow that if one dies, they all die? And where do Seedbearers live? What’s the significance of the locket, and the thunderstone, besides as a means to breathe under water? Why didn’t Diana tell Eureka anything about the book and the thunderstone? And why did Diana say that the locket was broken when she actually had it sealed? Besides the descendants of Selene and Leander, are there other descendants of Atlantis? And if so, where did they go? Were they the ancestors to some of the great ancient civilizations such as the Mayan, the Aztecs, and the ancient Egyptians? How did Madame Blatvasky know the language in the “Story of Love”? Is she also a descendent of Atlantis and somehow the language was passed down through the generations? Or did she somehow learn the language through something like a séance? Since the death of Madame Blatvasky, how is the rest of the “Story of Love” going to be translated so that Eureka is going to know what happened? Is Ander going to tell her the rest of the story or will Eureka be able to find someone else to translate the book for her? What exactly happened when Brooks was swept out in the first accident? Is that when Atlas began possessing Brooks? And why was Brooks chosen to be possessed by Atlas?